HCM City (VNA) – Thousands of high-capacity rice-drying stations have been built across the Mekong Delta region in a bid to increase post-harvest quality. Tra Vinh province boasts all high-capacity rice-drying stations while An Giang province has 1,200 out of 2,000 rice driers, Can Tho city has 300 out of 870 stations and Kien Giang province has 256 out of 1,600 stations. 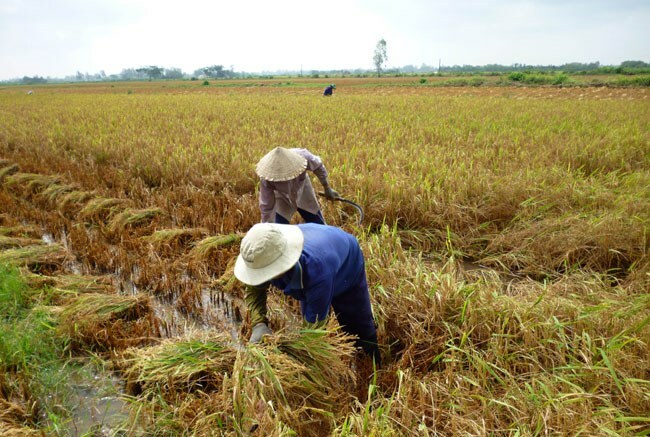 Four years ago, the Government assigned the Ministry of Agriculture and Rural Development to implement a 7 trillion VND (315 million USD) project on enhancing rice quality and competitiveness in the Mekong Delta region. It aims to develop technology to dry 7 million tonnes of summer-autumn rice each year, thus reducing post-harvest losses. Under the project, the National Agricultural Promotion Centre developed 35 rice-drying systems with a capacity of 30 to 50 tonnes per batch in Long An, Tien Giang, An Giang, Tra Vinh, Vinh Long, Can Tho, Hau Giang, Soc Trang and Kien Giang. They cost 12.6 billion VND (567,000 USD), one third of which was sourced from the State budget. According to Ngo Van Day, deputy head of the centre’s office in Ho Chi Minh City, the rice-drying models, with a full capacity of 53.5 tonnes per batch, were put into operation in 29 districts and towns, including 25 new-style rural communes, contributing to the effective preservation of local rice. So far, they have dried 10,300 tonnes of rice in 300 batches.